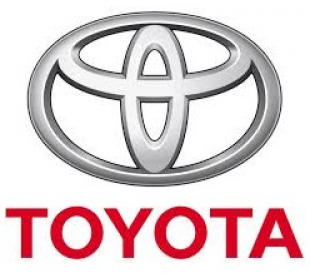 Joost has worked for Toyota for 11 years, eight of them in technical training. He has worked on completely overhauling Toyota Motor Europe’s technician training program (known as Team21) to a modular system allowing maintenance, rather than a recertification system. “If you don’t have a really clear structure and a really clear guiding principle of how you organize all your materials, then you can’t maintain it,” said Joost. After sorting out the content management, the challenge became recertification versus extended learning. The problem was that employees had to be recertified after three years. “We thought that logic was hard to explain. At the end of the day, you want the technician to have the right information at the right time,” said Joost. “We provide updated information every year as it becomes available.” This allows employees to be constantly learning the newest, most updated information. A major challenge for a large European company like TME is the significant regional variation and need for culture-specific learning. What works in one country (or region) may not work in another. This is especially true for soft skills training. Joost explains, “From a head office point of view, we provide basic modules—but what is good for Spain is not necessarily good for Russia. That’s usually modified locally.” Operating in 56 countries in Europe, TME has seen many cultural differences. Training is offered in 17 different languages (regions with small populations tend to use English), and “France, the Nordic region, and the Baltics have picked up the use of elearning quite strongly.” The UK and Russia have the most technicians, so elearning is used heavily in those countries as well. One of the biggest trends in elearning this past year has been “BYOD” (Bring Your Own Device). TME is looking to embrace this trend by working to develop courses for Android and Apple devices. While it’s quite region specific whether employees have mobile devices, there are diagnostic laptops with internet connection in every workshop. These machines can provide a platform for technicians to learn on during down time.